Vocal instruction for metal singers! 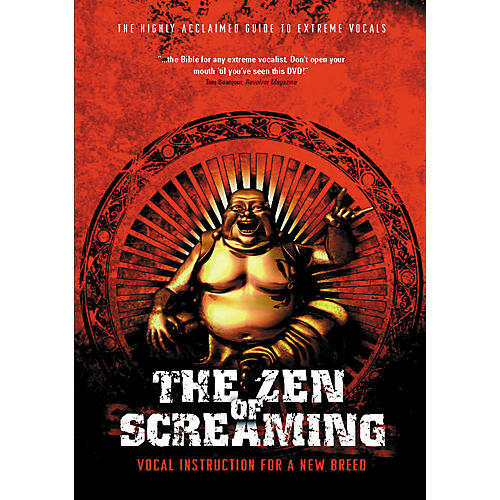 Hosted by internationally acclaimed vocal coach Melissa Cross, (whose past students include Andrew W.K., Melissa Auf der Maur and the singers from Slipknot, Killswitch Engage and Thursday), this DVD provides information and step-by-step exercises to help you sing aggressively without damaging your vocal chords. The first of its kind, these voice lessons on DVD feature convenient menus that allow you to navigate through over 30 segments, which include tips on vocal maintenance, actual vocal cord footage, and animations which illustrate specific vocal exercises. Bonuses include exclusive backstage and performance footage of today's most exciting artists, with candid offstage interviews and opportunities to see these artists actually working in the studio with Melissa.